What is the Bishop Kemper School for Ministry? The Bishop Kemper School for Ministry (BKSM), located in Topeka, Kansas, is a unique collaborative venture of the Episcopal Dioceses of Kansas, Nebraska, West Missouri and Western Kansas. BKSM was founded in 2013 in order to pool financial and human resources to best support leadership formation within the four dioceses and to strengthen bonds of community and mutual mission. The Bishop Kemper School for Ministry uniquely forms priests, deacons, and lay ministers together, fostering shared team ministry that honors and values the gifts and callings of all. Why Consider the Bishop Kemper School for Ministry? Benefit from courses designed to prepare you for mission and ministry. Balance your work, family and personal life with classes that meet face-to-face in Topeka one weekend a month. Be enriched and strengthened by a faithful community of students, faculty and staff, dedicated to sharing the Good News of Jesus Christ with the world. Form lasting relationships with students who live in the region, providing you the opportunity for a lifelong network of peers in ministry. 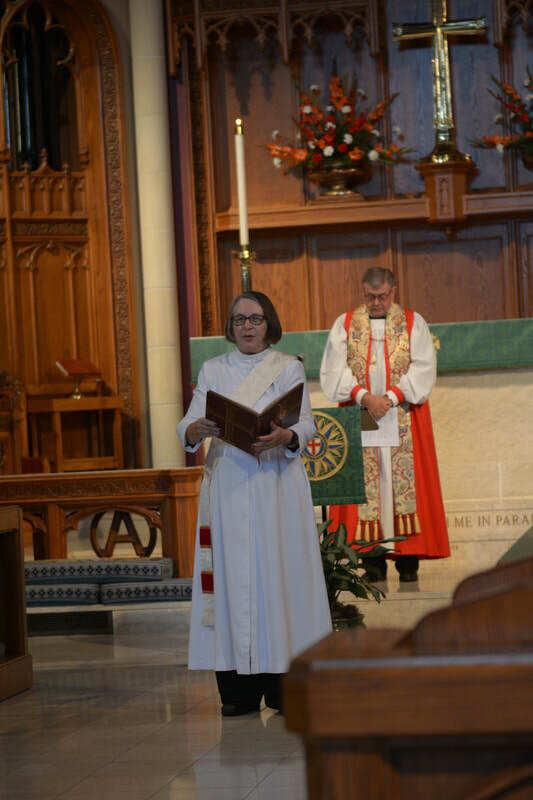 Get to know the Episcopal Church better. You will study, worship and socialize alongside students living in four dioceses across three states, who come from a wide variety of parish ministry environments – large and small, urban and rural, “high church” and low. Get to know the broader church better. BKSM welcomes students from a variety of other Christian denominations, which adds richness and diversity to our student body. Learn from remarkable faculty who live and work in Kansas, Nebraska and Missouri, many of whom have PhD’s or equivalent in their field of study and all of whom are deeply committed to the life of the church. Benefit from taking classes with students who bring a wealth of professional and personal experiences to classes and to their ministries. Put ideas into practice as you go. Because this is a weekend-in-residence program, you can put new ideas, skills and training into place right away as you continue to serve in your local church. We invite you to explore the website to learn more about the programs of study, how classes are structured, cost information and more. If you have any questions, feel free to complete the contact form online or contact the Very Rev. Dr. Don Compier, BKSM dean, at bksmdean2@gmail.com or (816) 217-4053.